Hi again, everyone. 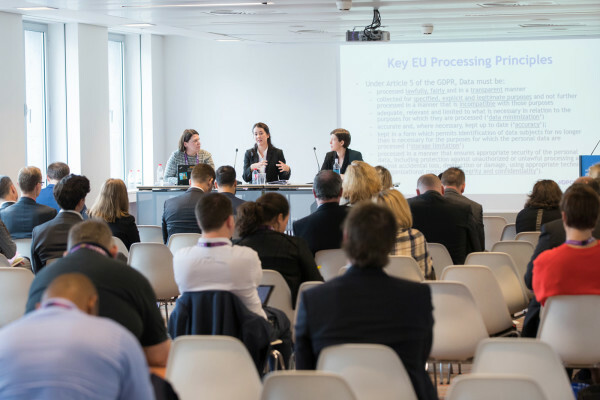 Seriously, this photographer we had at the Data Protection Congress last week is terrific — Paul Clarke — and it really is fun to reflect on our event through the images he's captured. See how many people are here in front of German MEP Birgit Sippel, way down there at the front? That's how many people now fully grasp just how impactful the ePrivacy Regulation is likely to be when it makes its way through the byzantine EU lawmaking process. See Jedidiah Bracy's full coverage here, but I'll give you the short version: Parliament is going to do its very best to make behavioral targeting essentially illegal. Get ready for the battle on that one. It's going to be lengthy and public, likely in the summer and fall of 2018. But, if you can believe it, Sippel's keynote likely wasn't the one that made the audience most uncomfortable. That was the role reserved for Jon Ronson, who used the disruption of the adult film industry by the internet to make some very interesting observations about the future of privacy. I mean, I can't really get into what he's showing here, but let me assure you that it made me examine the human condition in entirely new ways. He played some audio from an adult film actress getting direction on how to perform a scene, and the humanity of it, the generosity of spirit both the director and actress displayed actually made me tear up. 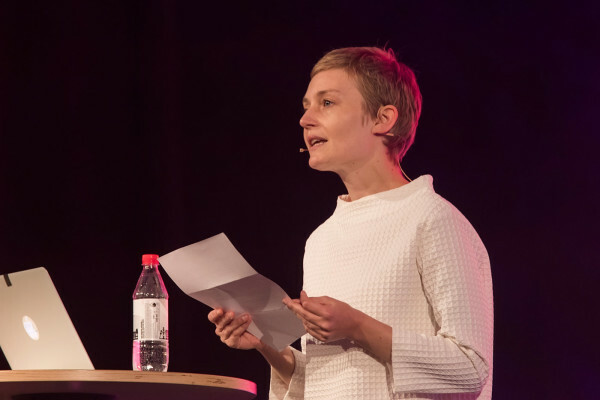 Which is not to say that Heather Dewey-Hagborg's closing keynote wasn't disturbing in its own right. In this photo, she's reading a letter she wrote to a person whom she reidentified using only a publicly available saliva swab that researchers are able to purchase online. How scary is that? She recounted to him the diseases she knew he was likely to be susceptible to, what his appearance likely was, how she had actually developed a weird affection for him. She's made a film of the experience that she's hoping to debut at Sundance. Look for it. But, as always, there was far more to #DPC17 than the keynotes (and watch out when you click that hashtag - the bots got attracted to how popular it was becoming and they posted some rather unsavory content using the tag). 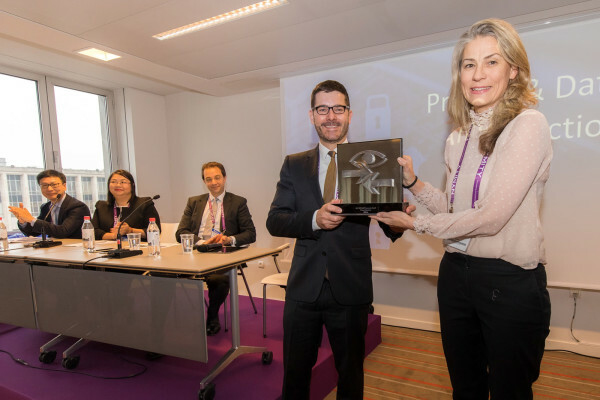 For instance, at the open of the closing day, we presented the HPE-IAPP Privacy Innovation Award in privacy operations to the team from Allianz, who were really psyched to receive it. And people were lined up along the walls to hear their breakout session on how they put their team together. Thanks to HPE's Amy Holcroft, CIPP/E, for presenting the award. 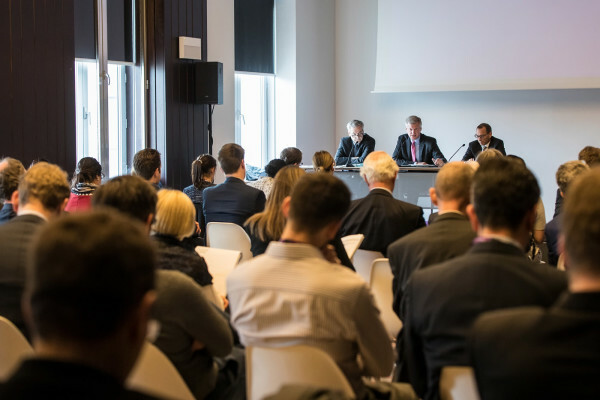 And, since we're talking about breakout sessions, I did want to take a moment, as the person responsible for overseeing programming at our events, to address the "no all-male panels" movement, which, at its heart, I support. How do we address this at the IAPP? Well, here's an all-male panel. It happens. And here is an all-female panel. That happens at IAPP events quite frequently, too. 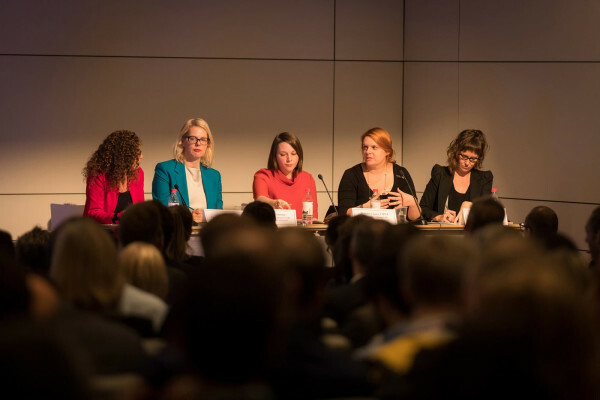 Rather than dictate that any individual panel must be gender-diverse, we rather keep metrics for the event as a whole, and work to make sure that gender is balanced at least 55-45 in either direction. 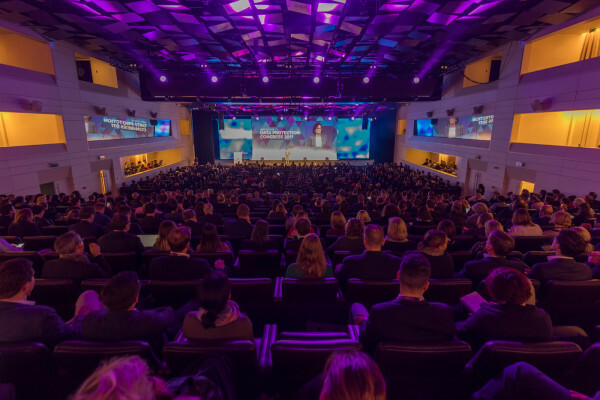 Currently, the Summit programming is leaning toward more women than men, for example. We're lucky in privacy to not really have a problem with overly-male speaking rosters. Perhaps that's due to the nature of privacy as a young profession that wasn't already set in its ways. Perhaps there's something about privacy that attracts both men and women equally. Regardless, the all-male panel phenomenon is something we do watch closely, but have decided it's not a huge deal if a panel or two is all one gender. It's about the big picture at the IAPP and making sure we've got the metrics to track speaker composition as a whole. Happy to hear thoughts on that in the comments. The Women Leading Privacy section at the IAPP has been a big hit, and we've gotten some great feedback on programming from them as well. In general, I was reminded yet again at DPC — especially coming hot on the heels of our PSR event in San Diego - what a truly great group of people have gravitated toward privacy: smart, friendly, curious, and helpful in the large part. Not a bad place to be. And speaking of not-bad places, I did want to share this last photo with you, especially for those who've not had the pleasure of visiting Brussels, a city I've been lucky enough to spend a good bit of time in at this point. This is the view from our conference venue, the Square. 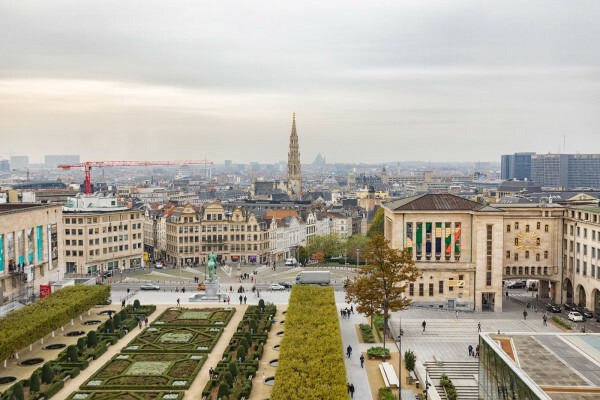 I think it's among the best views of Brussels. Maybe it will spur you to come join us next year.